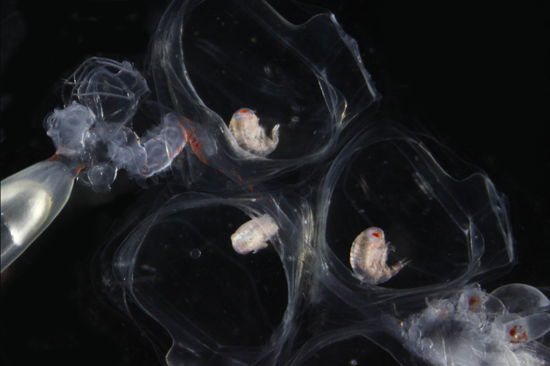 This is the story of the unusual mating strategies of marine isopod Paracerceis sculpta. It is based on work by Stephen M. Shuster. See the article that accompanied this piece at the New York Times for more information. Stephanie Yin, from Casey Dunn’s Invertebrate Zoology (Biol 0410) course at Brown University, tells the story of a parasitic barnacle with a fascinating lifecycle. The hand-drawn animations were photographed at the Brown University Science Center. Thanks also to the Granoff Center for the Creative Arts. Music by King Vitamin, Lino del Vecchio, and Val. Amber Harris, from Casey Dunn’s Invertebrate Zoology (Biol 0410) course at Brown University, tells the story of jumping spider courtship. For more information on the mating rituals of jumping spiders visit the Elias Lab. The hand-drawn animations were photographed at the Brown University Science Center. Thanks also to the Granoff Center for the Creative Arts. Music by scottaltham and Weston Wyse. This is a really nice video that was published in the Journal of Plankton Research this past February, as a part of this article about krill. Even though krill make up a large fraction of the living mass of the ocean (and are also the food for large charismatic sea mammals), many aspects of their biology is unknown, including the way they reproduce. Recently Dr. Kawaguchi and his colleagues filmed the process happening near the sea floor, which was surprising because krill are notorious for living their lives swimming around up higher in the water, far from the floor. The footage that the researchers collected was a bit chaotic (above, left), and so they gave it to Lisa Roberts, an animator (and CreatureCast contributor), to illustrate the process. She traced the motions of the crustaceans from the videos, and also practiced the moves with some shrimp from the market (above, right). 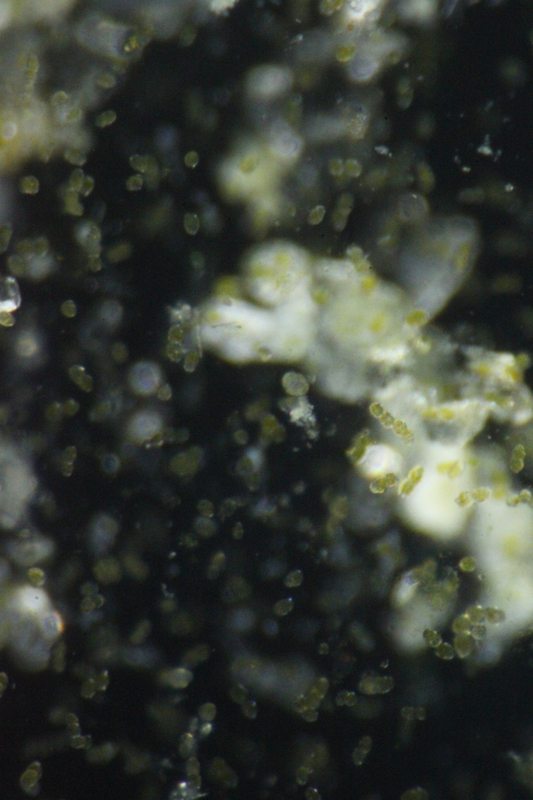 The original video footage from the deep sea is also really nice to watch, and can be found here, at the Journal of Plankton Research website. The animation at the top of the post, and the drawing at the bottom, were made by Lisa Roberts and released under a Creative Commons Attribution Noncommercial Share-Alike 3.0 license. The soundtrack to the animation is by Graeme Ewing. This podcast comes from Nati Chen, a sophomore in Casey Dunn‘s Bio 0410 Invertebrate Zoology class here at Brown University. In this video, Nati describes how this crustacean is able to move its appendages faster than could possibly be accounted for by muscles alone. 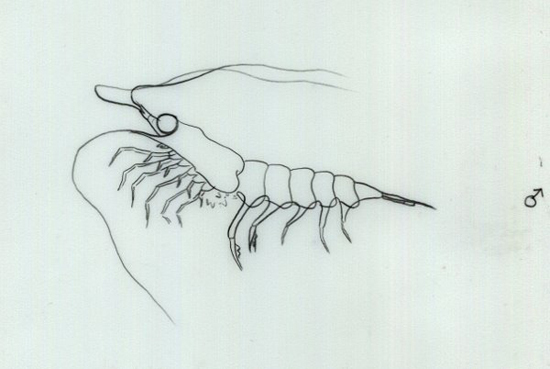 All of the artwork and edited was done by Natividad Chen, and many of the sound effects are real recordings of stomatopods, provided graciously by the Patek lab at University of Massachusetts at Amherst. The video is released under a Creative Commons Attribution-Noncommercial-Share Alike 3.0 license. Towards the end of the summer the waters around southern Rhode Island get quite sparkly at night. I’ve wondered for a while what exactly the sparkling things might be, but it wasn’t until recently that I remembered to bring a bucket with me and look at its contents in the light of day. When I went out to the ocean a couple of weeks ago, I noticed three distinct sizes of glowing creatures; the tiny specks that make a cloud when you kick the water, the medium ones that look like a pair of triangles, and the big circular ones, that stay glowing for a second or two. Steve Haddock, one of our friends at the bioluminesence lab at the Monterey Bay Aquarium Research Insitute, helped characterize some of these organisms. Here’s what I found. The larger circular ones are comb jellies. We get a lot of comb jellies called Mnemiopsis around here. By the end of the summer there are sometimes so many that it feels like swimming in a giant bubble tea. This seems to be a very young Mnemiopsis, not quite mature yet. Comb jellies don’t have any stinging cells, and are not technically jellyfish– corals and anemones are more closely related to jellyfish than these creatures are, even though these look similar. For more about the psychedelic rainbow colors pulsing down the side of this animal, check out Brown undergrad Lee Stevens’ podcast on comb jellies. According to Dr. Steve Haddock, bioluminesence correspondent, the smallest size of glowing thing is most probably a bunch of single celled organisms called dinoflagellates. The last glowing group I found seems to be these copepods, a type of small crustacean. The appendages at the very back of their bodies are long and thin, but move back and forth so fast that they look like little paddles. These thin appendages whipping around are probably what looked little triangles underwater. These videos and photos were taken by Sophia Tintori, and released under a Creative Commons Attribution-Noncommercial-Share Alike 3.0 license. Thanks to Steve Haddock for his help. If you see jellies in the water, you should let Steve know at Jellywatch.org. Thanks to Mickey Zacchilli for helping with the video. If you enjoy watching the pulsating comb rows of a comb jelly, here is another clip for you.